World of Children Award is seeking Nominations for their 2017 Awards – honoring child advocates leading charity organizations helping children. 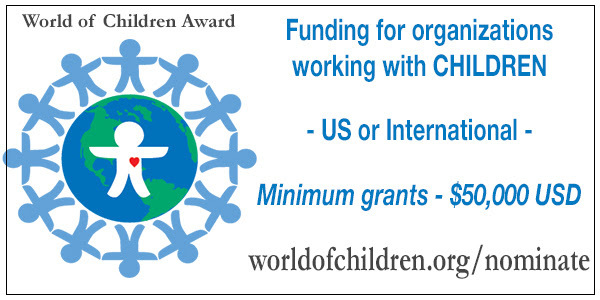 Award benefits include a multi-year cash grant provided to the individual’s organization, media and educational opportunities, and recognition at the World of Children Awards Ceremony in New York City. They give awards in 5 categories — the Education, Health, Humanitarian, Protection and Youth Awards. Nominations for the 2017 Awards are open now through April 1, 2017.